John Venning trained at the Giuseppe Verdi Music Conservatory in Turin, Italy, and at the Royal College of Music in London, after which he joined the English National Opera in London. He sang as a soloist in Germany and Italy before settling in Denmark, where he began singing with the Danish Royal Opera in 1981. 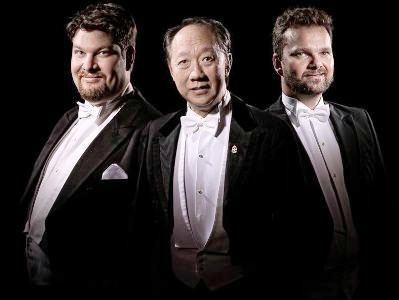 He is the founder and leader of the 3 Royal Tenors and the Royal Quartet, which he has taken to perform throughout Denmark, in neighbouring European countries, and across the whole of the U.S., as well as in Dubai and Beijing. John Venning is joined by a tenor Sune Hjerrild - Graduated in 2002 after 8 years of study, first at the Royal Danish Conservatory of Music, and later from the Royal Danish Academy of Opera in Copenhagen with highest merit. "Peter Steen Andersen is the final member of the 3 Royal Tenors, and sings with the Danish Royal opera". During the entertainment you will hear arias from famous operas along with songs from the best known Broadway musicals.